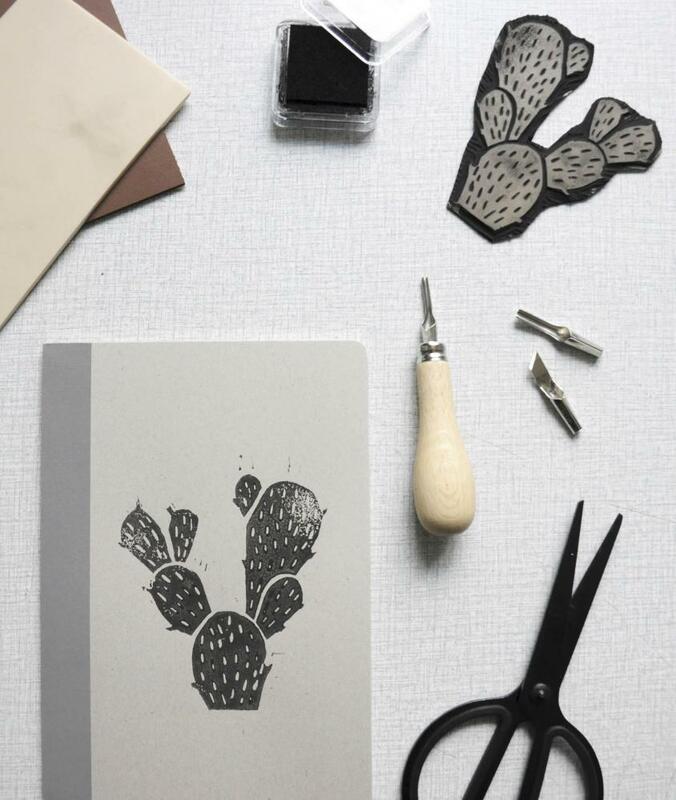 You can use a lino print to quickly personalise your notebook cover or book cover. Once you’ve carved your patterns, you can use the prints over and over again. So, it’s super easy to give a personal touch to every single one of your notebooks. NUÏ explains how. We used a soft linoleum. 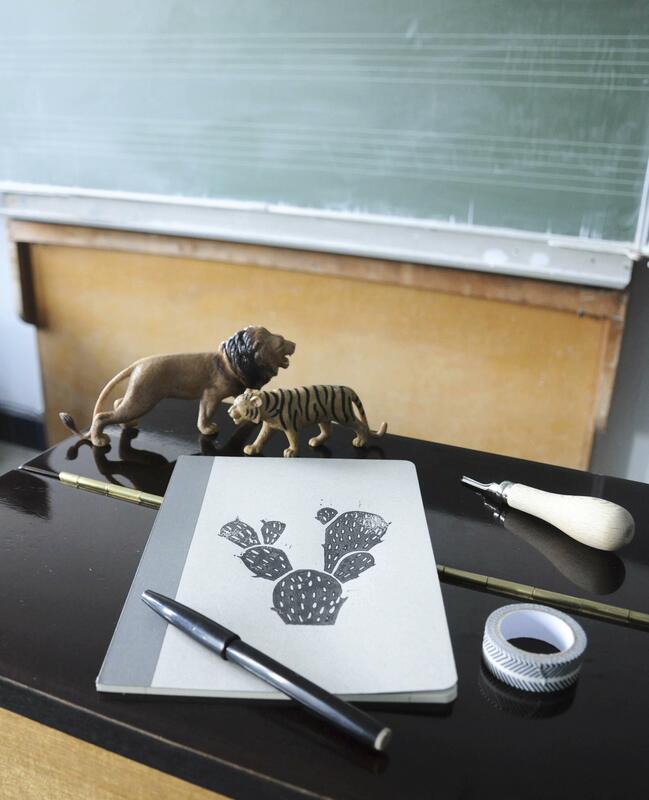 You can find everything you need for lino printing at De Banier. Use a pencil to draw a design on a sheet of white paper. Place the paper on top of the lino sheet, with the drawing facing down on the lino sheet. Tape down at the corners. Use the pencil to colour the entire back of your drawing. Remove your drawing and you will see that the pencil lines of your drawing are on the lino sheet. Please note: your drawing will be a mirror image. Everything that you carve out in a lino print is blank space (so it will not be printed) and everything that you do not carve out will be printed. Take the smallest carving knife and carefully carve the outer lines of your drawing. Do this by gently sliding the knife over the linoleum. The linoleum will flake off, so you aren’t cutting all the way through. Then carve out everything that must remain a blank space after printing. Then use the larger knife to carve everything out around your drawing. Cut away the excess edges up to 1 cm from the edges of your drawing. Spray a little lino printing ink onto a plastic bag and roll the lino ink roller through it until the roller is completely covered in ink. Roll the ink evenly over your carved lino sheet. Put your lino sheet face down on the cover of your notebook and press firmly. Carefully remove the lino sheet and allow your print to dry for a bit.